Smith was born in Petoskey in Emmet County in the northern portion of the Lower Peninsula of Michigan, but he spent a significant part of his early years living in Massena, New York. He graduated from the Massena High School in 1936. His mother was a seamstress, and his father worked at the local Aluminum Company Of America (Alcoa) factory. After graduation, Smith worked from 1936 to 1943 as a disc jockey and voice talent for WIBX Radio in Utica, New York. After serving in the United States Army Special Services (entertainment) during World War II, he traveled to Hollywood and appeared in many television shows such as I Married Joan, Fury, The People’s Choice, The Texan, Rescue 8, Dennis the Menace, The Adventures of Ozzie and Harriet, The Donna Reed Show, National Velvet, and The Red Skelton Show. Smith’s best-remembered on-screen character was Otis Campbell, the town drunk on The Andy Griffith Show, during most of the series’ run from 1960 to 1968. When intoxicated, he would often comically let himself into his regular jail cell, using the key which was stored within reach of the two comfortable jail rooms, and “sleep off” the effects of alcohol. Deputy Barney Fife would often become irritated with Otis, and attempted to either sober him up or rehabilitate him in several episodes. Hal Smith was the opposite of his character. According to longtime friends Andy Griffith and Don Knotts, he did not drink in real life. The Otis character stopped appearing in the show towards the end of the series because of concerns by the sponsors of the program in regard to the portrayal of excessive drinking. Smith appeared as Calver Weems in the 1966 Don Knotts comedy The Ghost and Mr. Chicken, playing essentially the same town drunk character, Otis. Smith would play Otis one more time in the 1986 TV movie Return to Mayberry. In the television movie, Otis is the town’s ice cream truck driver and is reported to have been “sober for years”. Smith later used his Otis Campbell character in commercial spots for the Mothers Against Drunk Driving organization and appeared as Otis in Alan Jackson’s “Don’t Rock the Juke Box” music video. Smith had a cameo role as the Mayor of Boracho in The Great Race in 1965. He played the industrialist Hans Spear in CBS’s Hogan’s Heroes. He played the character John Wilson in the 1967 episode “The Man Who Didn’t Want Gold” of the syndicated western series, Death Valley Days. Smith had a cameo role as a drunk driver in Adam-12 season 1 episode 19 (1969). During the late 1960s, Smith also had a morning children’s show at television station KTLA called The Pancake Man, sponsored by The International House of Pancakes (IHOP). He reprised the Pancake Man role as “Kartoon King” in the 1971 episode of The Brady Bunch titled “The Winner”. Beginning in the late 1950s with such shows as The Huckleberry Hound Show and Quick Draw McGraw, Smith became one of the most prolific voice actors in Hollywood, eventually working with most of the major studios and production companies, such as Hanna-Barbera, Walt Disney, Warner Brothers, The Mirisch Corporation, and Sid and Marty Krofft, with voice roles in such shows as The Flintstones in which he mostly did the voices of Texas millionaires such as Fred’s rich uncle Tex, Pink Panther, The Many Adventures of Winnie the Pooh, Mickey Mouse, Yogi Bear, and Looney Tunes. In 1962, he voiced Taurus, the Scots-accented mechanic of the spaceship Starduster for the series Space Angel. According to the book: Space Patrol, missions of daring in the name of early television, “It’s rumored that Gene Roddenberry was a huge fan of the show and patterned Star Trek’s engineer, Mr. Scott, after McCloud’s Scottish sidekick, Taurus”. He also did voices for the Hong Kong Phooey show. In 1977, he was the voice of Grandpa Josiah in the cartoon TV special, Halloween Is Grinch Night. He was also very active with doing voices in 1980s; he was Sludge in The Smurfs, Goofy in Mickey’s Christmas Carol, in Disney’s DuckTales he did the voices of Scrooge McDuck’s rival Flintheart Glomgold and the absent-minded scientist Gyro Gearloose and in Frog And Toad are Friends and Frog And Toad Together he also did the voice of Toad. Smith also voiced the Disney cartoon character Goofy after Pinto Colvig died in 1967. Additionally, he provided the voice of Owl in the three original Winnie the Pooh featurettes (Winnie the Pooh and the Honey Tree, Winnie the Pooh and the Blustery Day, and Winnie the Pooh and Tigger Too) and The Many Adventures of Winnie the Pooh in 1977. In the 1960s, he was one of the most sought after voice actors in Hollywood. From 1959 till 1975, he provided the voices for Goliath, Davey’s dad and many other characters in Davey and Goliath. From 1960 to 1961, he was the voice of Elmer Fudd after Arthur Q. Bryan died. In 1963, he voiced Dr. Todd Goodheart, Belly Laguna, and Dr. Von Upp in the Funny Company cartoon series. From 1964 to 1966, he was the voice of Yappee in the Hanna-Barbera cartoon shorts Yippee, Yappee and Yahooey. He was also the voice of Cosgoode Creeps, Asa Shanks, the Farmer, Mr. Greenway and Mr. Bluestone the Great/Phantom, in Scooby-Doo, Where are You!. In 1981, he reprised his role as Owl and voiced Winnie-the-Pooh in the short Winnie the Pooh Discovers the Seasons, replacing Sterling Holloway, who had provided the voice of the character for many years. He then voiced the two characters in Winnie the Pooh and a Day for Eeyore in 1983, as well as Disney Channel’s TV series Welcome to Pooh Corner. On the TV program The New Adventures of Winnie the Pooh in 1988, Jim Cummings took over as Pooh while Smith continued playing Owl. The two voice actors sometimes rotated the voice of Winnie the Pooh. In 1991, Smith provided the voice of Philippe the Horse in the Disney film Beauty and the Beast, as well as Jafar’s horse in Aladdin. Starting in 1987, he was the voice of the main character John Avery Whittaker on the Focus on the Family radio drama Adventures in Odyssey. He was responsible for much of the cast joining the show after he signed on, and he continued recording episodes until a few weeks before his death, even while his health deteriorated. Additionally, he voiced dozens of other characters during the over 260 episodes in which he participated. He voiced Joe McGee in the “The Old Man and the Sea Duck” episode of Tale Spin. Smith was also very active working in television commercials as various characters. He provided on-screen promotion for 3 Musketeers, United Van Lines, Hickory Farms, Toyota, Green Giant, General Mills, Mattel, Kellogg’s, Pizza Hut, Chicken of the Sea, Ivory soap, Doctor Ross dog food, Pioneer Chicken, Bell Telephone Company, and hundreds of other companies. 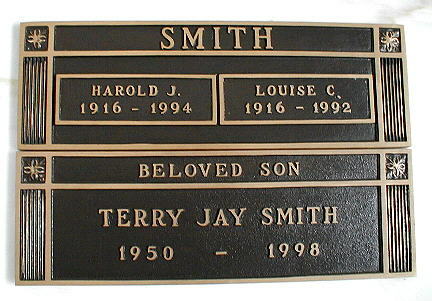 Smith was married to Louise C. Smith from 1936 until her death in 1992. They had a son named Terry who died in 1998. 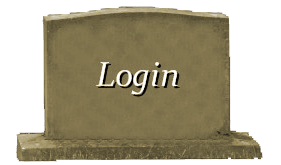 After his wife died in 1992, Smith’s own health began to deteriorate rapidly. 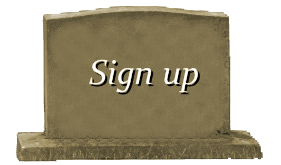 Producers of Adventures in Odyssey even began preparing for how to handle Smith’s character after he died. 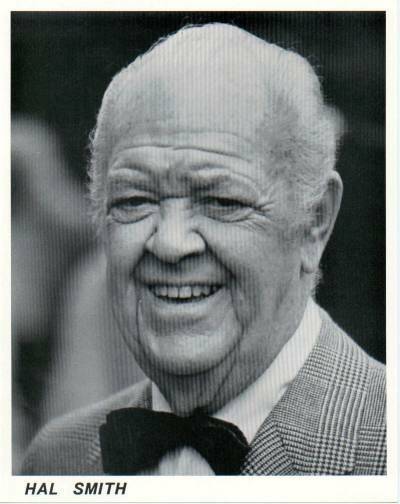 On January 28, 1994, at the age of 77, Hal Smith died from an apparent heart attack. Don Pitts, his longtime agent, said that Smith died at his home in Santa Monica while he was listening to a nightly drama hour on radio. 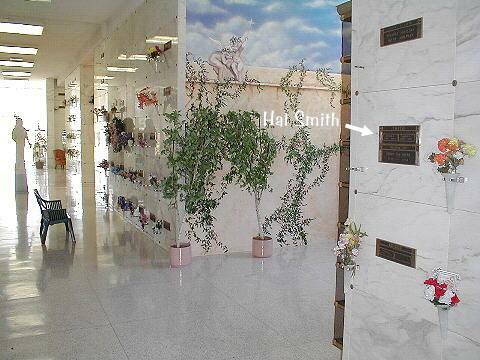 Smith is interred in the mausoleum at Woodlawn Cemetery in Santa Monica, California.